Caravan, Camper Van, Boat and Motor Home Storage – Birmingham, West Midlands. Store4u Ltd provides secure, hard standing caravan storage. Our open air storage site is an effective solution to keep your caravan safely stored when you are not using it. We provide a hard standing surface which is considerably better than an open field. The advantage of our storage facility is that your caravan is secure, while being generally accessible throughout the year. 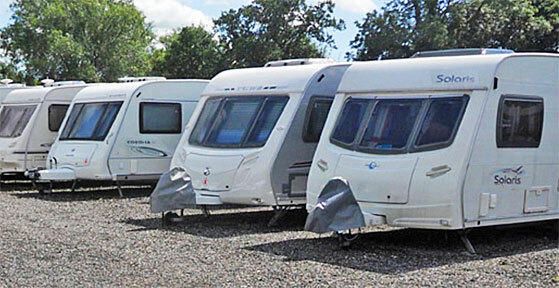 Store4u Redditch Caravan Storage site is monitored 24 hours by the latest CCTV and 24/7 onsite personnel, which reduces the chances of your caravan being damaged or stolen. Most insurance companies will require a wheel clamp and hitch lock as minimum requirements. Our storage solutions also include storage for Camper Vans, Boats and Motor Homes.